20 million. And that’s just the UK. Globally it’s over 400 million. Now I know some of you will be thinking – these are not my clients, or how do I find potential clients in amongst that 20 million. Well your potential clients are on there and they are easier to find than you might think. Before I show you, let’s look at some real examples. In their post announcing the UK milestone LinkedIn quoted the example of entrepreneur Jess Ratty. She was refused a bank loan for her camper van rental company, so turned to her LinkedIn network. From her base in a small, seaside village, Jess had access to a global community who shared their knowledge and experience to help her succeed, and she hasn’t looked back since. I blog every week and always post links to my blog as status updates. One of y connections is an avid reader and being constantly reminded of me being there meant that when she heard about a contract in Norway she immediately thought of me. A few calls and meetings later and I had a 6 month contract in Norway. A simple re-connection prompted by a birthday reminder from LinkedIn put me back in conversation with a client I did some work for around 5 years ago. They are now looking for an upgrade to that system so I have a new opportunity. Connecting and engaging in the right way lead to a property networking event host securing a sought after high profile speaker to talk at her monthly meeting. Not only that, but she secured an affiliate link so that anything he sold on his visit to the UK generated her a sizeable commission. A connection of a colleague was having a few legal problems with a property he owned in Portugal. Using LinkedIn’s advanced search he was able to find and connect with a bi-lingual lawyer conversation with Portuguese property law and the problem was on the way to being solved. These are just a few of examples of the power of LinkedIn and why you need to be leveraging that power for your business. So how do you leverage LinkedIn? LinkedIn is all about people. People like to buy from people so the personal profile is at the heart of everything LinkedIn does. Your profile needs to scream credibility and value. It needs to show case the benefits you bring to clients that work with you or buy from you. It needs to be powerful because what is he first thing someone is going to do when they hear from you? Answer: check out your LinkedIn profile. 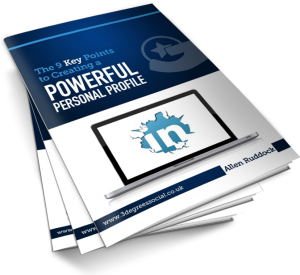 Once you have that powerful personal profile you need to get it out there. You need to post status updates and publish articles to spread the word about just how good you and your company are. LinkedIn has thousands of special interest groups. You need to join the groups where your target audience and out. If you are an accountant don’t look for clients in a group for accountants. They will be great for professional networking with your peers. But you need to join groups where potential clients interact. So, for example, if you specialise in accounting for performing artists, join some of their groups. How do you work out which groups to join? Connect to some of your existing clients and then look at what groups they belong to. You could even ask them for an introduction into the group. 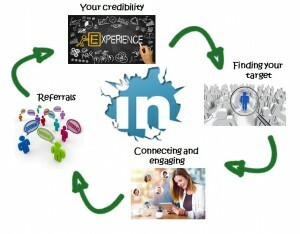 You existing best clients are almost certainly on LinkedIn. You need to connect with them. They will no doubt be very pleased with your products or services so ask them for a recommendation. When asked in the right way, very few people decline. Also, they are probably connected to other people in their industry or line of business. Those connections are your 2nd tier connections and could be you next ‘best’ clients. By joining the right groups you will find lots of potential clients. But you can also use LinkedIn’s powerful advanced search engine to find prospects too. Even if your prospects are not as smart as you in the way they use LinkedIn, because they will have their job titles and then details of what they do in their profiles, LinkedIn provides a keyword rich environment to search. In addition you can narrow it down by geography, company, industry, non-profit interests and even the schools and universities they attended. Having that powerful profile and find the right people to connect with is all well and good. But if you don’t get the engagement right you could blow it all in a few sentences. This is where most business that try and use LinkedIn go wrong – they try and sell. LinkedIn is all about networking. You don’t sell to people you meet at a networking event, so why try on LinkedIn. There’s a time for making offers once the relationship is established, but in the beginning it’s about commenting on posts, offering advice, providing value, being supportive and asking questions. Get the engagement right and your connections will ask you to help them. That’s how LinkedIn makes the selling easy. 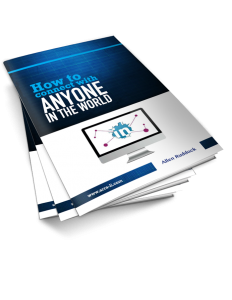 Why not down load my free guides to creating a powerful personal profile and connecting with anyone in the world. Click on the images or links below. 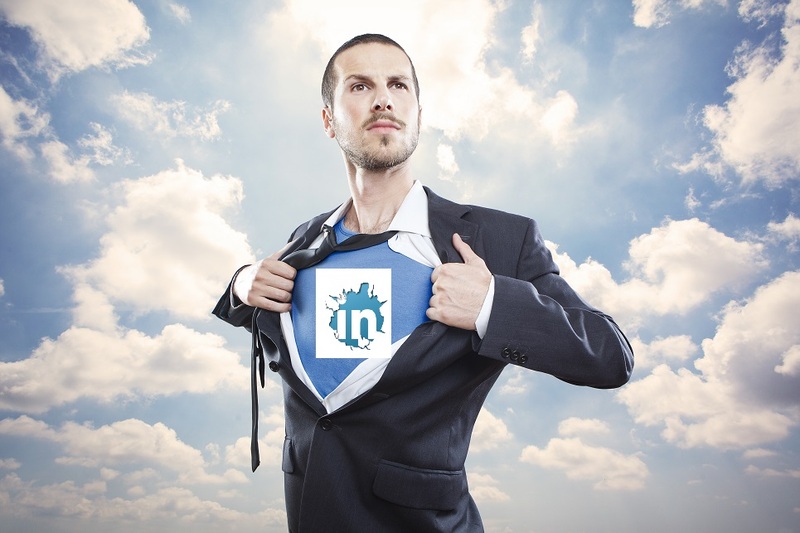 How often do you update your LinkedIn profile? Even for frequent users who contribute to groups, post updates and publish posts on Pulse often neglect to update the substance of their profile on a regular basis. We I recommend you freshen up your profile at least every quarter and more often if you have a lot of stuff going on in your businesses. So as it’s the start of 2016, it’s time for a new year, new you! A chance for you to reveal yourself on LinkedIn. As an aside, LinkedIn provides many opportunities for you to re-engage such aqs job anniversaries and birthdays. I recently wished one of my contacts a happy birthday. The ensuing exchange of messages lead to a discussion about a system I had built for their business a few years back and a request for a quote to upgrade it to the latest version of the core underlying platform. Engagement works! Back to your profile refresh. What areas should you focus on? I always advocate starting with the things people will see first. Does your headline reflect what you currently do for your clients. Have you had a recent recommendation highlighting a particular benefit of your products or services that it might be good to highlight? Do you have a new angle? Does your background image still portray what you do ? Is there a new part of your website or a new sales offering you could use one of your three web links to direct your connections to? Are the rest of your contact details still current. How old are your Pulse posts? Remember that the three latest posts will always appear at the top of your profile. If they are not very recent it might seem like you are inactive. Take the opportunity to publish a new post. If you are short on inspiration, look back at something you posted a year or so ago and see if you can add a fresh angle. Your summary – does it reflect what your current focus is in your business? It should demonstrate the value you and your bring to your clients with a clear articulation of what’s in it for them. Maybe you have a recent success you can use to highlight that. Are there any new uploads of slide-shares, e-books, other publications and, especially, videos you could add to bring your profile to life and demonstrate your value to your clients. Alongside those, do you have the most recent and relevant recommendations highlighted in the right parts of your profile. Are you showing your skills and endorsements in the most effective order to reflect the strengths you bring to your clients? Remember, you can chose which ones to highlight, and the order they are shown in. Have you or your business been involved in a success community event or initiative. Corporate social responsibility is something more and more companies and bodies are paying attention to it and expecting their suppliers to do so too. Your profile’s volunteering opportunities section could be a great way to highlight what you do in supporting your business’ approach to that. The suggestions above are just a few pointers to possible areas of your profile that you could freshen up. For more information on creating or updating your Powerful Personal profile and then Connecting and Engaging with anyone in the world, sign up and download my free guides. Like at the start of every year, you’ll have been hearing a lot of people talking about goal setting and objectives for the year ahead. The bad news is you’re a bit late. Most successful entrepreneurs set their goals and targets for the year by the middle of the last quarter of the previous year. What you need now is implementation. 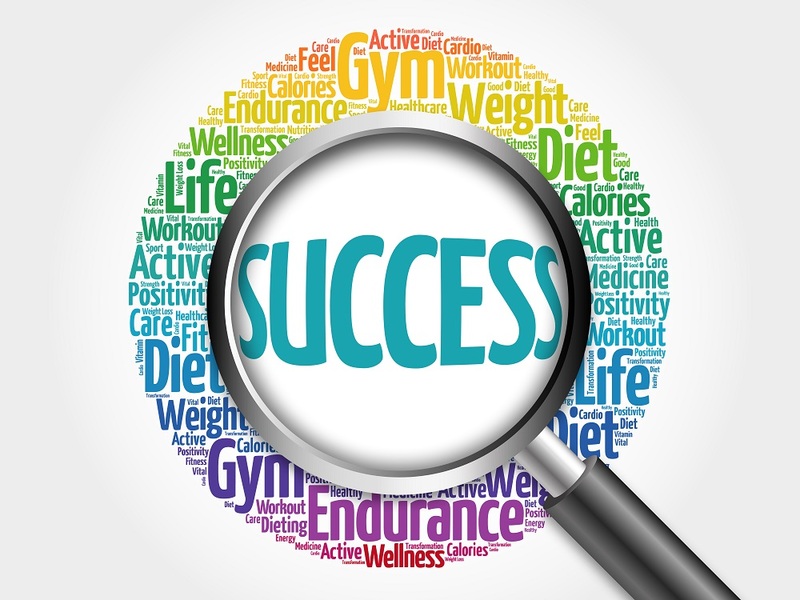 Implementation of the things that are going to enable you to achieve those goals and targets. You won’t find many people talking about this. The temptation is to get back to work in the new year and pick up from where you left off, doing the same old things. But if you always do, what you always did, you always get what you always got. NOT the ambitious growth your goals described, but the same old business. Now if you defined your goals well, you also defined the means to achieve them. The things you are going to do differently to achieve them. The new things you are going to do to achieve them. What is required now is focus and amplification. Focus on the one or two things you need to do to achieve your month 1/quarter 1 targets. The New Year is a 12 month marathon, not a 1 month sprint, so focus on your first waypoint, identify the activities to achieve it and then amplify them. The right stuff comes from the focus and massive action, consistently applied is the amplification. So if you want 2016 to be your best ever year, focus on the one or two things that will smash January and amplify their implementation. Then repeat for months 2 to 12. In February I’m teaming up with a longstanding colleague and friend who is brilliant in her field to host a a very special masterclass for just 10 participants. It is very focussed on one business niche and it will provide the key tools to amplify your business as never before. I can’t say too much more just yet, but if you are in property and I’ve piqued your interest, drop me an e-mail on allen.ruddock@arra-pm.com and I’ll keep you informed. Where are you on the wave of change? Change is inevitable. And the scale and speed of change is increasing dramatically. Not all change is either good or successful so deciding what change to adopt, and when, is crucial to the wellbeing of your business. This is never more true than in marketing your business. Early adopters may find the change doesn’t work, either in general, or for their specific business. And if they have bet the bank on it, it can be catastrophic. Early adopters have to be canny. They have to test, measure and adjust. Trying out change without risking everything. But when the measures show huge positives, they are well positioned to harvest the market. It’s called first mover advantage. For businesses that don’t adopt the change early on, they may not see much impact on their business. They’ll continue pretty much as before and any slight down turn due to business being taken away by the first movers could be mistaken for normal market movements and compensated by for increasing their own normal marketing activity. The change in dynamics is almost hidden. As a change becomes more widely used, and more early adopters take it up the advantages reduce. But the impact on the businesses of non-adopters goes up. So the benefit for early adopters is still big and positive. As the change becomes the industry norm you get to the cross-over point where you have to adopt to stand still. Thereafter, failure to adopt becomes increasingly more negative and your business is less and less viable. In some markets, there will be niches that survive. But they will be small and specialist. Does this happen in practice? Let’s look at a real non-marketing example of where this happened – the car manufacturing industry. In the early days cars were produced by hand individually. Then along came Henry Ford’s Model T, which was mass produced using production lines. If you wanted to stay in the car business, you went to production lines. Then along came the Japanese and two things: Lean and automation. 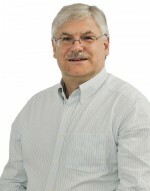 Lean is a process efficiency approach that seeks to reduce waste. Wasted effort, and wasted capital. Parts were ordered or manufactured just in time for when they needed to be fitted to the car as it was being produced. No more expensive stock to maintain and keep safe. And automation meant you could reduce the labour costs and do things more accurately and consistently. Better quality and less waste. Lean and automation were a double whammy for the established western manufacturers and it lead to a wave of closures and consolidations. The same has happened in the online world with internet advertising. When Google first introduced Adwords, you could buy keywords cheaply because no one else was doing it. You got instant and huge returns. Then the market cottoned on and the cost of keywords started to rise. The canny marketers adapted their use and Google keep changing the price calculation rules to keep everyone on their toes. But the essence is that if you are selling online, you are at a huge disadvantage if you are not using Adwords effectively. How do you spot the right waves? You’ve probably heard me say who you hang around with matters a lot. The most successful entrepreneurs are early adopters. They jump on new ideas then test, measure and adjust to see if they work. When they hit on idea that works, they immediately amplify their activity to gain maximum first mover advantage. So I hang around with as many successful entrepreneurs as I can find. I look at what they are doing and when they continue doing something new I know that 9 times out of 10 it’s a winner. So I jump on the wave and get early adopter advantage. What is the next big wave of change in online marketing? If you’re saying to yourself “no way” or “rubbish” you are about to miss out on the next big thing. 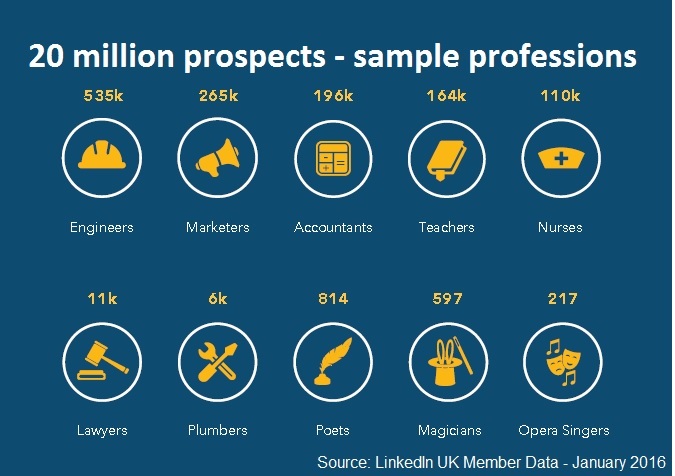 With over 400 million professional profiles on LinkedIn, if you are selling business-to-business, your ideal clients are on there. Canny marketers are already learning how to leverage their LinkedIn profiles to build relationships with potential clients. When those prospects are ready to buy, who do you think they are going to turn to? That’s right, the person that has taken the trouble to nurture them and build trust. It makes the selling easy. In December there was a week-long LinkedIn Success Summit. 36 thought provoking sessions from over 30 practitioners all online. The reactions from attendees in the private Facebook group were amazing. So many light bulb moments! So many people having their eyes opened to new opportunities. I think LinkedIn is still very much in the early adopter stage. But with events like the LinkedIn Success Summit enlightening more business people to the possibilities you need to act fast. With LinkedIn being free to use, why not get a little help and dip a toe in the water. Click here to find out about my LinkedIn Business Advantage Programme – it has everything you need to get you off the ground. I’d love to hear about where you stand on the wave of change. Are you a first mover, a canny early adopter, or a follower? Leave a comment below.